The Houndskull Bascinet (Pig-faced is a later term) was popular in the late 14th and early 15th Centuries. The pointed visor provided a deflecting surface for blows to the face and also improved ventilation. 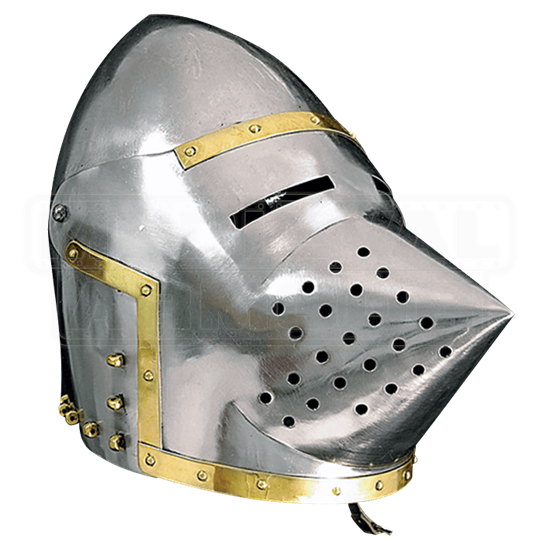 This style of helmet was typically worn with an Aventail and attachment points are provided in this version (see our AB2735 Aventail). 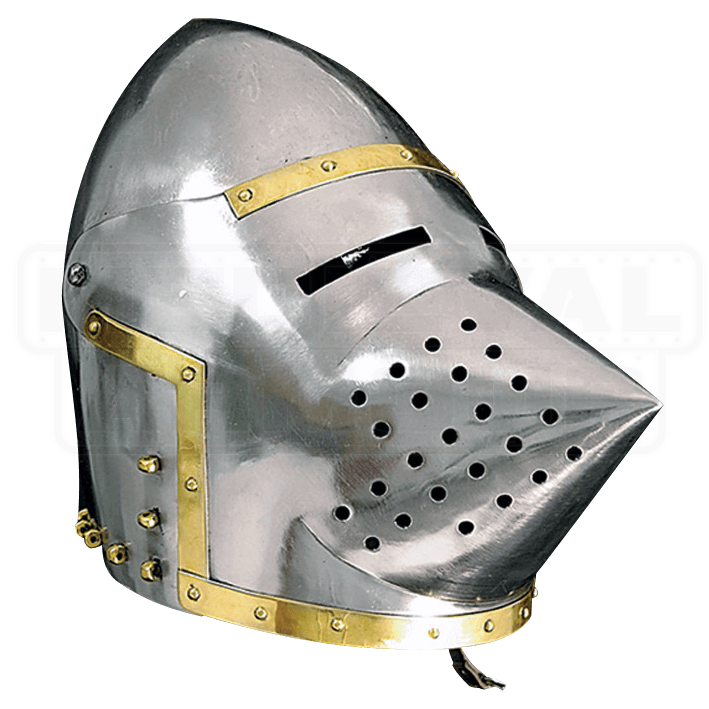 Our European Pig Faced Helmet is crafted in 16 gauge steel, lined and ready for use.